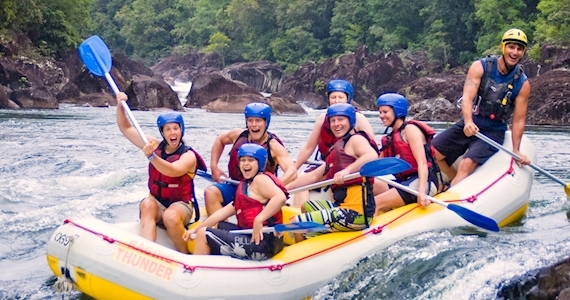 Raft the mighty Tully River, regarded as the best rafting river across Australia and New Zealand. By restricting our Xtreme trip to only 24 people, we are able to customize the trip to the abilities of the lucky few travelling with us each day taking you on the wildest ride possible. Because this small trip can move much faster down the river, we have time for extra adventures such as jumping from the cliffs into the river, swimming down the rapids with your safety gear on, and raft surfing where your boat is held in place by the power of the rushing rapids.